As we are approaching the end of the year 2018, it is an excellent time to take a last look at how the situation on crypto exchanges evolved in December. It was a month of exciting price developments on the market. For a long time, Seychelles-registered BitMEX had been the biggest venue among all in terms of volume. The difference between Bitmex and its competitors in the ranking has varied over the years, sometimes going as high as 100 percent. This time, however, the situation has changed. December brings Bithumb to the top of the volume ranking, at least in the first half of the month. The first time that Korean Bithumb climbed above BitMEX was on December 11. 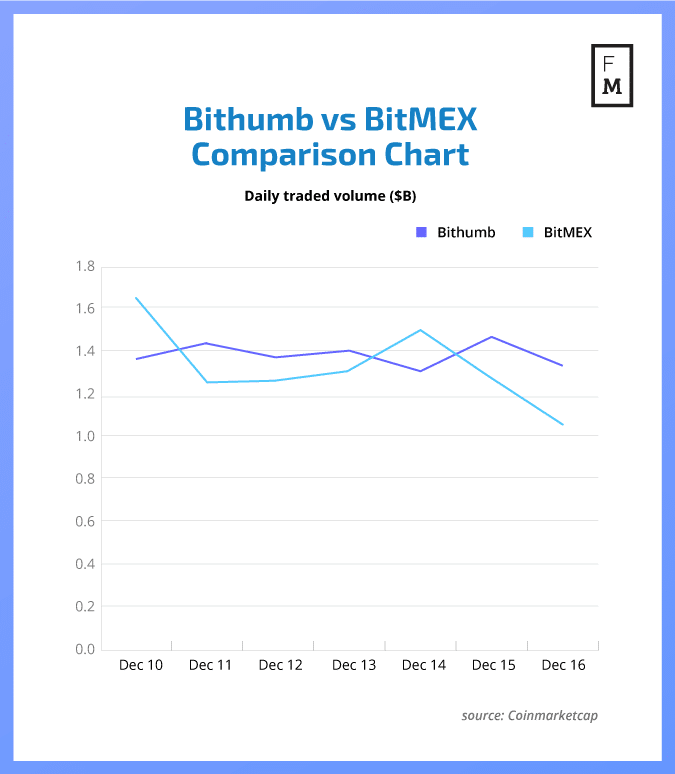 Between December 10-16, Bithumb was ahead of BitMEX five times out of seven. However, the cumulative value of the volume for both exchanges was not much different. In the second week of December BitMEX had an average daily volume of $1.32 billion while Bithumb reached an average daily volume of $1.37 billion. The change in positions between two crypto exchanges might have had something to do with Bitcoin’s performance. 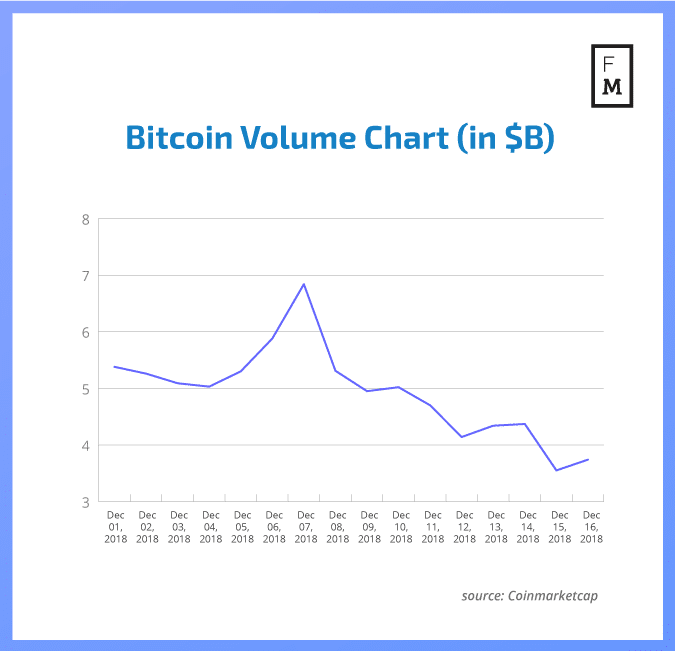 BitMEX is mostly known and used for Bitcoin trading, and in December, the price of Bitcoin registered new lows and also saw its volumes drop, as can be seen on the chart. Whether BitMEX may regain its position of the dominant exchange remains to be seen. It will be interesting to observe not only the rivalry of both these exchanges in 2019 but also the potential for growth of other venues. It will also be interesting to see the bigger picture of how the crypto industry behaved in the whole of 2018, which should be a matter of one of the next articles from Finance Magnates Intelligence. The Finance Magnates Intelligence Department has launched a new project, creating a set of analyses covering various aspects of the cryptocurrency trading industry. These will provide you with unique data points gathered by our analysts, that will serve as a valuable knowledge base for your decision making.